This module introduces the different types of drugs that can impair driving. 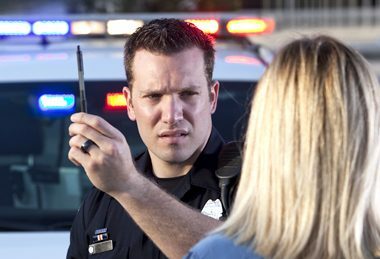 It also provides an overview of the different research methods that are typically used to measure drug-impaired driving in laboratories as well as the real world, and general limitations associated with these methods are briefly discussed. The research about the impairing effects of drugs on the human body (i.e., physiological) and their effects on driving (i.e., functional skills required for vehicle operation) are discussed according to the seven different categories of drugs. In addition, the frequency of detection of these drugs in drivers, and the effects of these drugs when combined with alcohol, sleep deprivation, or other factors are also described in instances when additive effects exist. Information regarding the effects of new psychoactive substances (NPS or “designer drugs”) is provided where possible, although research on these types of drugs is limited. What functional abilities are necessary for safe driving? How do researchers measure the impairing effects of drugs on driving abilities? What are the limitations of the current research measuring the effects of drugs on driving ability? What is the frequency of detection of this drug in drivers? What are the impairing effects of this drug on driving? How do other factors (alcohol, sleep deprivation) interact with this drug to affect driving ability? 1. What functional abilities are necessary for safe driving? Drugs that can impair driving are categorized according to the seven drug categories, established by the International Drug Evaluation and Classification Program (DECP). These include: cannabis2, central nervous system (CNS) depressants, central nervous system (CNS) stimulants, hallucinogens, dissociative anesthetics, narcotic analgesics, and inhalants. 3. How do researchers measure the impairing effects of drugs on driving abilities? Laboratory tests. Researchers use laboratory tests that measure cognitive or psychomotor abilities thought to be related to or involved in driving. These tests are typically validated and reliable measures to assess specific cognitive capacities and physical motor coordination. Cognitive tests evaluate the effects of a drug on these specific capacities: attention (simple and divided), perception (auditory, time and visual), memory (long and short-term), vigilance, logical reasoning, problem-solving and decision-making. Examples of validated tests include the Tower of London task, the Wisconsin Card Sorting Task, the Time Wall test, and the Object Movement Estimation under Divided Attention (OMEDA). 4. What are the limitations of the current research that measures the effects of drugs on driving ability? The central limitation of on-road driving tests is the safety concern associated with placing drug-impaired drivers on the road, though these can be mitigated by using closed course tests and the presence of driving instructors who can take control of the vehicle when necessary. Cannabis is the scientific term for the products of the cannabis plants, including marijuana, sinsemilla and hashish. The main psychoactive component is ∆9-tetrahydrocannabinol (THC). Cannabis is the most commonly used illicit drug.13 The short-term effects of cannabis use include increased heart rate, distorted perceptions, impaired short-term memory, impaired coordination, relaxation, and feelings of euphoria. In contrast, some users experience anxiety, paranoia and/or panic attacks. Is cannabis frequently detected in drivers? Can cannabis impair driving abilities, and if so, how? Are the effects of cannabis on driving ability impacted by other factors, such as alcohol, or sleep deprivation? Alcohol has an additive impairing effect when used in combination with cannabis. This means that the ability to compensate for the impairing effects of low doses of THC is negated when alcohol and THC are used together.24 Furthermore, both multiple drug use and sleep deprivation increased the impairing effects of cannabis. What are central nervous system (CNS) depressants? CNS depressants slow down the activity of the central nervous system resulting in sedation, relaxation, and impaired motor coordination.25 Drugs included in the CNS depressant category can be medicinal, legal or illegal. For the purpose of this curriculum, alcohol was excluded from this category. More information about alcohol and its impairing effects can be found at Change the Conversation. Examples of CNS depressants include barbiturates and benzodiazepines, and non-benzodiazepines. The short-term effects of CNS depressants involve sedation that slows body and brain functions, including drowsiness and reduced vigilance, impaired motor coordination and reaction time, and information processing speed. Larger doses can result in confusion, amnesia, and disorientation. There is some evidence that prolonged use can result in the development of partial tolerance to some effects; however, an increased dose can produce impairing effects by overriding the partial tolerance. There also are NPS with depressant-like effects (such phenazepam, methoxetamine) that are synthetic drugs with effects similar to benzodiazepines. Which CNS depressants are most frequently detected in drivers? Can CNS depressants impair driving abilities, and if so, how? Are the effects of CNS depressants on driving ability impacted by other factors, such as alcohol, or sleep deprivation? What are central nervous system (CNS) stimulants? Drugs included under the CNS stimulants category include cocaine, amphetamines, and synthetic cathinones. Cocaine is an illegal drug that is derived from the leaves of the coca plant. It is used recreationally for its euphoric and energizing effects. Amphetamines are prescription medications to treat attention deficit hyperactivity disorder (ADHD) and narcolepsy. In prescription form, amphetamines are usually consumed orally as tablets. The illegal street form of amphetamine is typically known as “speed”, which comes as a white powder that is snorted, smoked or injected. Methamphetamine is a powerful stimulant occasionally used clinically to treat ADHD and narcolepsy, but is more commonly used illegally for recreational purposes or by those suffering from drug use disorders. The short-term effects of a CNS stimulant include increased heart rate, blood pressure, body temperature, rate of speech, pupillary dilation, euphoria, and alertness, as well as over-confidence, erratic violent behaviour, nervousness and paranoia. Which CNS stimulants are most frequently detected in drivers? Can CNS stimulants impair driving abilities, and if so, how? Are the effects of CNS stimulants on driving ability impacted by other factors, such as alcohol, or sleep deprivation? Which hallucinogens are most frequently detected in drivers? Can hallucinogens impair driving abilities, and if so, how? Are the effects of hallucinogens on driving ability impacted by other factors, such as alcohol, or sleep deprivation? Drivers under the influence of MDMA and alcohol report a lower subjective feeling of alcohol intoxication, but actual performance continues to be affected. Drivers using MDMA and alcohol exhibit increased lane weaving behaviour. Furthermore, MDMA does not compensate for the effects of sleep deprivation, and drivers who took MDMA while sleep deprived exhibited increased lane weaving behaviours.45 Therefore, the use of MDMA with other substances, and the additive effects of sleep deprivation from participation in all night parties or raves, when MDMA and alcohol are often consumed, were shown to negatively impact driving performance. Which dissociative anaesthetics are most frequently detected in drivers? Dissociative anaesthetics are not frequently detected in drivers. 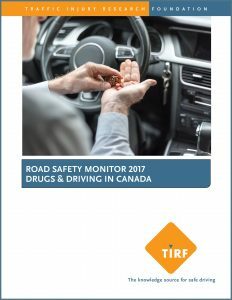 According to the Alcohol and Drug Crash Problem Report: 2012 prepared by TIRF for the Canadian Council of Motor Transport Administrators (CCMTA), dissociative anaesthetics were detected in fewer than 2% of fatally injured drivers in Canada. In addition, little data are available regarding the specific detection rates of each type of dissociative anaesthetic among drivers. Can dissociative anaesthetics impair driving abilities, and if so, how? Are the effects of dissociative anaesthetics on driving ability impacted by other factors, such as alcohol, or sleep deprivation? Which narcotic analgesics are most frequently detected in drivers? Roadside survey results show that use of prescription opioids is more prevalent than illicit opioids in the general driving population.57 Although there is currently no established prevalence rate for driving under the influence of non-prescription synthetic opioids such as fentanyl analogs, the high rate of abuse for this substance and its’ derivatives may be reflected in data on impaired driving and fatal crashes. Can narcotic analgesics impair driving abilities, and if so, how? Are the effects of narcotic analgesics on driving ability impacted by other factors, such as alcohol, or sleep deprivation? 54 The term “opioid” is used to refer to all opium-like substances (including opiates and opioids), and for the purposes of this module the term. Which inhalants are most frequently detected in drivers? Can inhalants impair driving abilities, and if so, how? Are the effects of inhalants on driving ability impacted by other factors, such as alcohol, or sleep deprivation? Drug-impaired driving can be studied using different research methods, both within laboratories and the real world, although these studies often do not involve large doses of drugs, or combinations of drugs that are typically found in the real world. Findings from each of these types of studies provide a different perspective on the drug-impaired driving problem, and collectively, results of these studies provide important information to increase overall understanding of this issue. Generally studies indicate that cannabis is the most frequently detected drug (other than alcohol) in fatally injured drivers and show that consumption of this drug can affect driving abilities. Central nervous system depressants such as barbiturates and benzodiazepines, and central nervous system stimulants such as cocaine also are shown to affect skills needed for safe driving, and these drugs are also detected among fatally injured drivers. Other categories of drugs are less often detected in fatally injured drivers, although the hallucinogen MDMA is more prevalent. Educational campaigns to increase awareness about the impairing effects of illegal as well as prescription drugs are much needed. A focus on cannabis in particular is important in the near-term to dispel beliefs that the use of cannabis while driving does not pose risk. Asbridge, M., Hayden, J. A., & Cartwright, J. L. (2012). Acute cannabis consumption and motor vehicle collision risk: systematic review of observational studies and meta-analysis. Bmj, 344, e536. Bachs, L., Høiseth, G., Skurtveit, S., & Mørland, J. (2006). Heroin-using drivers: importance of morphine and morphine-6-glucuronide on late clinical impairment. European journal of clinical pharmacology, 62(11), 905-912. Benzon, H. T., Kendall, M. C., Katz, J. A., Benzon, H. A., Malik, K., Cox, P., Dean, K., & Avram, M. J. (2013). Prescription patterns of pain medicine physicians. Pain Practice, 13(6), 440-450. Bocca, M. L., Marie, S., Lelong-Boulouard, V., Bertran, F., Couque, C., Desfemmes, T., … & Coquerel, A. (2011). Zolpidem and zopiclone impair similarly monotonous driving performance after a single nighttime intake in aged subjects. Psychopharmacology, 214(3), 699-706. Bosker, W. M., Kuypers, K. P., Conen, S., Kauert, G. F., Toennes, S. W., Skopp, G., & Ramaekers, J. G. (2012). MDMA (ecstasy) effects on actual driving performance before and after sleep deprivation, as function of dose and concentration in blood and oral fluid. Psychopharmacology, 222(3), 367-376. Brady, J. E., & Li, G. (2014). Trends in alcohol and other drugs detected in fatally injured drivers in the United States, 1999–2010. American journal of epidemiology, 179(6), 692-699. Breivik, H. (2006). Stable long‐term opioid medication per se does not always cause loss of driving ability: the doctor and patient must consider additional risk factors for unsafe driving. Acta anaesthesiologica scandinavica, 50(6), 651-652. Canadian Centre for Substance Abuse (2015) CCENDU Bulletin: Deaths Involving Fentanyl in Canada, 2009–2014. 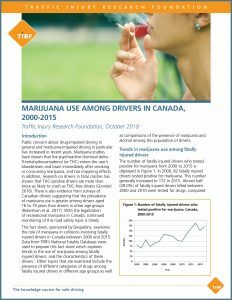 Canadian Centre for Substance Abuse (2016) Effects of Drugs on the Body and Driving. Retrieved from: http://www.ccsa.ca/Resource%20Library/CCSA-Drug-Impaired-Driving-Toolkit-Handout-2016-en.pdf. Cheng, W. C., Ng, K. M., Chan, K. K., Mok, V. K. K., & Cheung, B. K. L. (2007). Roadside detection of impairment under the influence of ketamine—evaluation of ketamine impairment symptoms with reference to its concentration in oral fluid and urine. Forensic science international, 170(1), 51-58. Couper, F. J. & Logan, B. K. (2014) Drugs and Human Performance Fact Sheets (Report No. DOT HS 809 725). Washington, DC: National Highway Traffic Safety Administration. Curran, H. V., & Morgan, C. (2000). Cognitive, dissociative and psychotogenic effects of ketamine in recreational users on the night of drug use and 3 days later. Addiction, 95(4), 575-590. Dassanayake, T., Michie, P., Carter, G., & Jones, A. (2011). 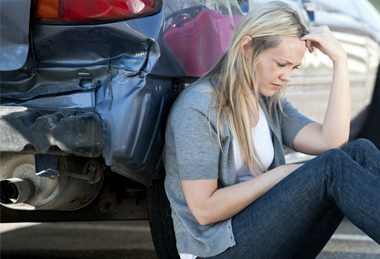 Effects of benzodiazepines, antidepressants and opioids on driving. Drug safety, 34(2), 125-156. Dewar, R. E., & Olson, P. L. (2007). Human factors in traffic safety. Drummer, O. H., Gerostamoulos, J., Batziris, H., Chu, M., Caplehorn, J. R., Robertson, M. D., & Swann, P. (2003). The incidence of drugs in drivers killed in Australian road traffic crashes. Forensic Science International, 134(2), 154-162. Drummer, O. H., & Yap, S. (2016). The involvement of prescribed drugs in road trauma. Forensic science international, 265, 17-21. Dubois, S., Bédard, M., & Weaver, B. (2010). The association between opioid analgesics and unsafe driving actions preceding fatal crashes. Accident Analysis & Prevention, 42(1), 30-37. Els, C., Jackson, T. D., Tsuyuki, R. T., Aidoo, H., Wyatt, G., Sowah, D., … & Stewart-Patterson, C. (2019). Impact of Cannabis Use on Road Traffic Collisions and Safety at Work: Systematic Review and Meta-analysis. Canadian Journal of Addiction, 10(1), 8-15. European Monitoring Centre for Drugs and Drug Addiction (2015). New psychoactive substances in Europe. An update from the EU Early Warning System (March 2015). Publications Office of the European Union, Luxembourg. Fishbain, D. A., Cutler, R. B., Rosomoff, H. L., & Rosomoff, R. S. (2003). Are opioid-dependent/tolerant patients impaired in driving-related skills? A structured evidence-based review. Journal of pain and symptom management, 25(6), 559-577. FRANK. (2017). Ketamine. Retrieved from: http://www.talktofrank.com/drug/ketamine. Giorgetti R, Marcotulli D, Tagliabracci A, Schifano F.(2015). Effects of ketamine on psychomotor, sensory and cognitive functions relevant for driving ability. Forensic Science International; 252:127-42. Hart, C. L., Van Gorp, W., Haney, M., Foltin, R. W., & Fischman, M. W. (2001). Effects of acute smoked marijuana on complex cognitive performance. Neuropsychopharmacology, 25(5), 757-765. Hartman, R. L., Richman, J. E., Hayes, C. E., & Huestis, M. A. (2016). Drug Recognition Expert (DRE) examination characteristics of cannabis impairment. Accident Analysis & Prevention, 92, 219-229. Hayley, A. C., Stough, C., Verster, J. C., van de Loo, A. J., & Downey, L. A. (2015). The green light on ketamine: considerations for on-road safety. Current drug abuse reviews, 8(1), 1-2. Helander, A., Beck, O., & Bäckberg, M. (2015). Intoxications by the dissociative new psychoactive substances diphenidine and methoxphenidine. Clinical toxicology, 53(5), 446-453. Jonah, B. A. (2012). Drugs and Driving Framework. Canadian Council of Motor Transport Administrators. Kelly, J. P. (2011). Cathinone derivatives: a review of their chemistry, pharmacology and toxicology. Drug testing and analysis, 3(7‐8), 439-453. Kyriakou, C., Marinelli, E., Frati, P., Santurro, A., Afxentiou, M., Zaami, S., & Busardo, F. P. (2015). NBOMe: new potent hallucinogens–pharmacology, analytical methods, toxicities, fatalities: a review. Eur. Rev. Med. Pharmacol. Sci, 19, 3270-3281. Kuypers, K. P., & Ramaekers, J. G. (2005). Transient memory impairment after acute dose of 75mg 3.4-Methylene-dioxymethamphetamine. Journal of Psychopharmacology, 19(6), 633-639. Leufkens, T. R., Vermeeren, A., Smink, B. E., Van Ruitenbeek, P., & Ramaekers, J. G. (2007). Cognitive, psychomotor and actual driving performance in healthy volunteers after immediate and extended release formulations of alprazolam 1 mg. Psychopharmacology, 191(4), 951-959. Li, G., Brady, J. E., & Chen, Q. (2013). Drug use and fatal motor vehicle crashes: a case-control study. Accident Analysis & Prevention, 60, 205-210. MacDonald, S., Mann, R., Chipman, M., Pakula, B., Erickson, P., Hathaway, A., & MacIntyre, P. (2008). Driving behavior under the influence of cannabis or cocaine. Traffic Injury Prevention, 9(3), 190-194. Maxwell, H. G., Dubois, S., Weaver, B. and Bedard, M. (2010). The additive effects of alcohol and benzodiazepines on driving. Canadian Journal of Public Health, 101, 353–7. Mets, M. A., de Vries, J. M., de Senerpont Domis, L. M., Volkerts, E. R., Olivier, B., & Verster, J. C. (2011). Next-day effects of ramelteon (8 mg), zopiclone (7.5 mg), and placebo on highway driving performance, memory functioning, psychomotor performance, and mood in healthy adult subjects. Sleep, 34(10), 1327-1334. Mørland, J., Steentoft, A., Simonsen, K. W., Ojanperä, I., Vuori, E., Magnusdottir, K., … & Christophersen, A. (2011). Drugs related to motor vehicle crashes in northern European countries: a study of fatally injured drivers. Accident Analysis & Prevention, 43(6), 1920-1926. Movig, K. L., Mathijssen, M. P. M., Nagel, P. H. A., Van Egmond, T., De Gier, J. J., Leufkens, H. G. M., & Egberts, A. C. (2004). Psychoactive substance use and the risk of motor vehicle accidents. Accident Analysis & Prevention, 36(4), 631-636. Patil, V., Tewari, A., & Rao, R. (2016). New psychoactive substances: Issues and challenges. Journal of Mental Health and Human Behaviour, 21(2), 98. Pennings, E. J., Leccese, A. P., & Wolff, F. A. D. (2002). Effects of concurrent use of alcohol and cocaine. Addiction, 97(7), 773-783. Ramaekers, J. G., Kuypers, K. P., Wood, C. M., Hockey, G. R., Jamson, S., Jamson, H., & Birch, E. (2004). Experimental studies on the effects of licit and illicit drugs on driving performance, psychomotor skills and cognitive function. Ramaekers, J. G., Kuypers, K. P., & Samyn, N. (2006). Stimulant effects of 3, 4‐methylenedioxymethamphetamine (MDMA) 75 mg and methylphenidate 20 mg on actual driving during intoxication and withdrawal. Addiction, 101(11), 1614-1621. Ramirez, A., Berning, A., Carr, K., Scherer, M., Lacey, J. H., Kelley-Baker, T., & Fisher, D. A. (2016, July). Marijuana, other drugs, and alcohol use by drivers in Washington State (Report No. DOT HS 812 299). Washington, DC: National Highway Traffic Safety Administration. Schisler, R. E., Groninger, H., & Rosielle, D. A. (2012). Counseling patients on side effects and driving when starting opioids# 248. Journal of palliative medicine, 15(4), 484-485. Sexton, B. F., Tunbridge, R. J., Brook-Carter, N., Jackson, P. G., Wright, K., Stark, M. M., & Englehart, K. (2000). 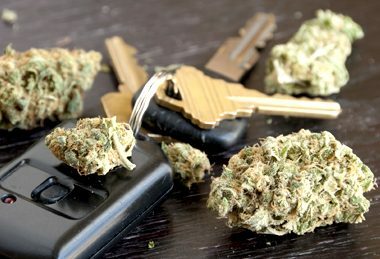 The influence of cannabis on driving. TRL report, 477, 106. Simpson, C. A., & Rush, C. R. (2002). Acute performance-impairing and subject-rated effects of triazolam and temazepam, alone and in combination with ethanol, in humans. Journal of Psychopharmacology, 16(1), 23-34. Stachel, N., Jacobsen-Bauer, A., & Skopp, G. (2016). A methoxydiphenidine-impaired driver. International journal of legal medicine, 130(2), 405-409. Staner, L., Ertlé, S., Boeijinga, P., Rinaudo, G., Arnal, M. A., Muzet, A., & Luthringer, R. (2005). Next-day residual effects of hypnotics in DSM-IV primary insomnia: a driving simulator study with simultaneous electroencephalogram monitoring. Psychopharmacology, 181(4), 790-798. 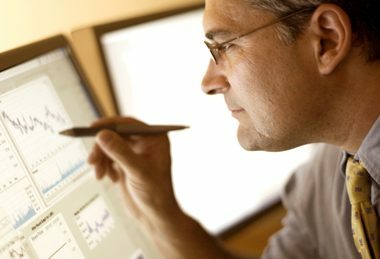 Statistics Canada. (2015). Canadian Tobacco, Alcohol and Drugs Survey: Summary of results for 2013. Ottawa, Ont. : Author. Starkey, N. J. & Charlton S.G. (2017). The prevalence and impairment effects of drugged driving in New Zealand. Stough, C., King, R., Papafotiou, K., Swann, P., Ogden, E., Wesnes, K., & Downey, L. A. (2012). The acute effects of 3, 4-methylenedioxymethamphetamine and d-methamphetamine on human cognitive functioning. Psychopharmacology, 220(4), 799-807. Tefft, B. C., Arnold, L. S., & Grabowski, J. G. (2016). Prevalence of Marijuana Involvement in Fatal Crashes: Washington, 2010–2014. United Kingdom Home Office (October 2014) New Psychoactive Substances Review: Report of the expert panel. Verster, J. C., Volkerts, E. R., Schreuder, A. H., Eijken, E. J., van Heuckelum, J. H., Veldhuijzen, D. S., … & Patat, A. (2002a). Residual effects of middle-of-the-night administration of zaleplon and zolpidem on driving ability, memory functions, and psychomotor performance. Journal of clinical psychopharmacology, 22(6), 576-583. Verster, J. C., Volkerts, E. R., & Verbaten, M. N. (2002b). Effects of alprazolam on driving ability, memory functioning and psychomotor performance: a randomized, placebo-controlled study. Neuropsychopharmacology, 27(2), 260-269. Verster, J. C., Spence, W. D., Shahid, A., Pandi-Perumal, R. S., & Roth, T. (2011). Zopiclone as positive control in studies examining the residual effects of hypnotic drugs on driving ability. Current drug safety, 6(4), 209-218. Wolff, K., Brimblecombe, R., Forfar, J. C., Forrest, A. R., Gilvarry, E., Johnston, A., … & Taylor, D. (2013). Driving under the influence of drugs (March 2013). Report from the Expert Panel on Drug Driving. Yap, S., & Drummer, O. H. (2016). Prevalence of new psychoactive substances in Victorian fatally-injured drivers. Australian Journal of Forensic Sciences, 48(2), 230-243.